Editor's Note:Video Volunteers, a country-wide community journalism network, is running a series to document instances of patriarchy and gender discrimination in the everyday lives of women across India. Firstpost will reproduce select stories in arrangement with Video Volunteers. Read V Geetha, feminist activist, author and social historian's introductory essay, for this series, on the virulence of daily patriarchy in India. In a small village called Walhe, in Pune district, Maharashtra, nine women, including health workers and housewives, have become members of a unique club — a space that is their very own to discuss and debate the nuances of patriarchy. And they are fast becoming the talk of the town. The club is one of fifty-six being run across thirteen states in India and is part of #KhelBadal, a campaign to dismantle patriarchy being run by Video Volunteers. Rohini Pawar, who for the past seven years has used her video camera to expose practices ranging from child-marriages to ostracisation people living with HIV/AIDS face, runs these clubs. She shares how these clubs have created a safe space for these women and turned them into agents of change as well. 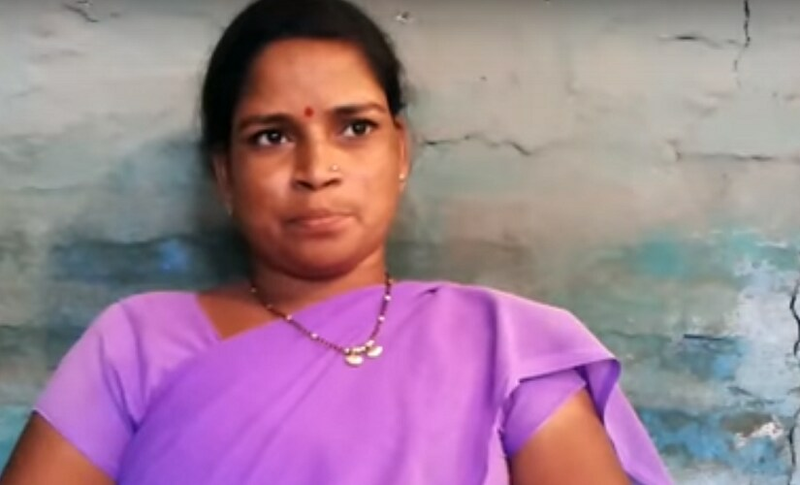 The first video Rohini decided to screen in her discussion club was on the practice of women not addressing their husbands by their first name. She chose this because she wanted to throw open the conversation on patriarchy with an issue that the women could easily engage with. Not being able to call their husbands’ names out is a practice they have all dutifully upheld, and not once questioned. 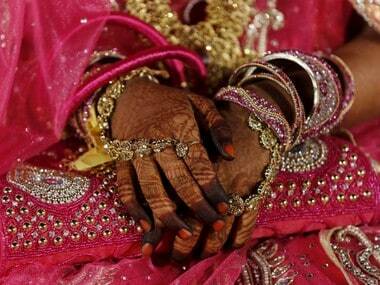 “This custom indicates that a woman respects her husband and wants him to live a long life. A woman who doesn’t follow it will be seen as cunning, a woman with no morals. The tradition is so deeply rooted that we hadn’t given it thought until this discussion club,” says Rohini. To begin with, Rohini wanted to test out the waters at her own home where she had never called her husband by his name. She showed the discussion club video to her husband and mother-in-law. “My mother-in-law and husband were quiet for a long time after the video ended. Prakash, my husband, turned around and told me to call him by his name from then on,” she recounts. “Some of these women have been married for thirty years and that was the first day they uttered their husbands’ names,” says Rohini. “During the activity, one woman was so shy she just giggled for the duration of the exercise; another decided to vent all her cumulative frustration against him and his family by cursing him. The look on their faces was ecstatic. I don’t think I’ll ever forget it,” says Rohini. Still high on an adrenaline rush of having smashed an age-old custom, the women decided that they would actually try to say their husband’s names when they got home. And they kept their word. Over the next few days, Rohini got a variety of updates. One woman’s husband called Rohini to ask what ideas she was putting in the women’s heads. His wife wouldn’t stop calling out his name! Another club member decided to do it at dinnertime in front of her entire family. When her mother-in-law glared at her, she got scared and said that it was a mistake. Another woman said, “Rohini told me to do it.” One participant’s husband was less understanding and the situation ended in violence. Rohini shares how women have tried to stop other practices like wearing vermilion on their forehead. “Why do only women have to show that we’re married? I told my husband that if he’d wear vermillion, I’d do it too. He just laughed, and I’ve stopped wearing it.” The other women haven’t stopped completely, but they feel that they’re in a better position to choose to not to wear it on some days. For many of the women, this discussion club is a safe space where they can share their opinions and aspirations. “We make an excursion out of each discussion club. We usually pack lunch and water and go to the field. I don’t want the women to worry about who might hear what,” she says. In the past few months, they have celebrated birthdays with cakes for the first time in their lives; they have danced and sung and talked about things they have never given a second thought to. “At one discussion club, we were talking about the concept of honour and how it is related to clothes. Many women in the group haven’t worn anything but saris since they got married. Most are fine with it but some wanted to wear a salwar-kurta; they didn’t dare.” After much debating and discussion on the merits of choosing your own clothes, the morality related to saris and so on, Rohini smuggled her own set of kurtas to a discussion club so that the women could wear them. The women have now decided to plan a trip to Goa so that they can wear jeans, and Rohini is certain that she can pull it off.